**PLEASE NOTE: Online registration will close at noon on June 27th - Paper registrations will ONLY be accepted at package pick up for the 15K, 5K and 2.5K Run/Walk events - (no team registration) - subject to availability! Pick up registration fees - $65(5 and 15K) - 25$ for the 2.5K. Click Here. back of the line for each last name. Entry Fee includes: Short sleeved technical shirt (2.5K- cotton shirt). Shirt sizes will be distributed on a first come first serve basis. Every effort is made to provide appropriate sizing. To ensure your correct size, please pick up your package early. 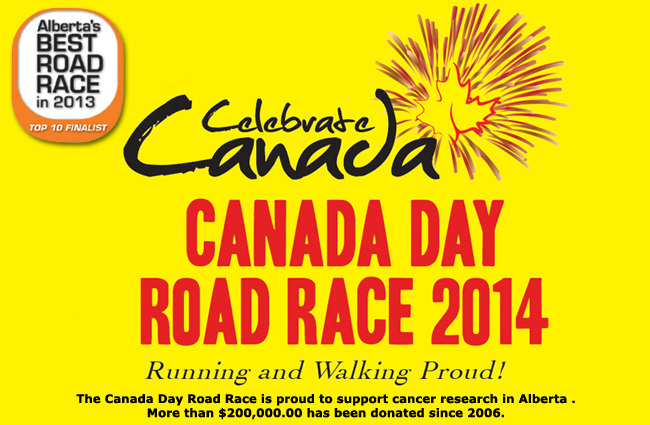 The Canada Day Road Race is proud to support the Canadian Cancer Society. More than $200,000.00 has been donated since 2006. 100% of this year’s proceeds and pledges will be donated to cancer research right here in Alberta. When you raise $500.00 or more in pledges, you will receive the Canada Day Road Race signature hoodie. For more information about the Timex National Road Race Series, click here. 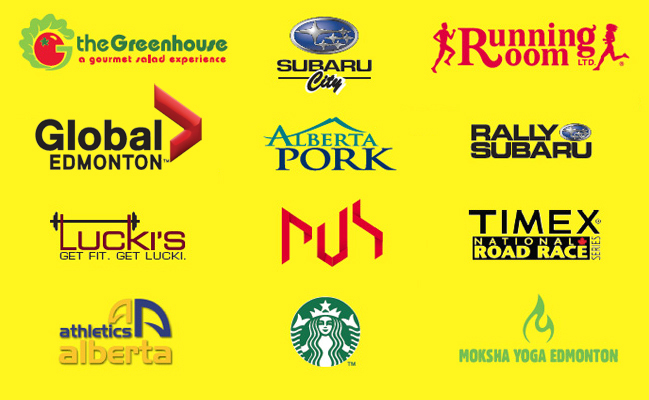 This event is again one of Alberta�s top 10 Athletics Alberta Road Races.